Although it seems like an oxymoron, there are several regions in the world that could be classified as cold deserts. The best known of these is Antarctica. There are also cold desert biomes located in Greenland and the Nearctic area. 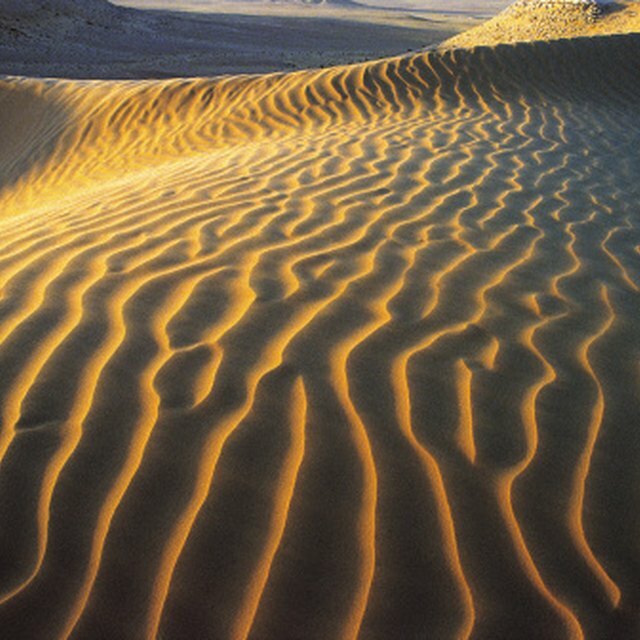 These deserts have frigid winters with high rainfall and snowfall and wet, relatively warm summers. Despite the harsh conditions, there are some animals that thrive in cold desert biomes. 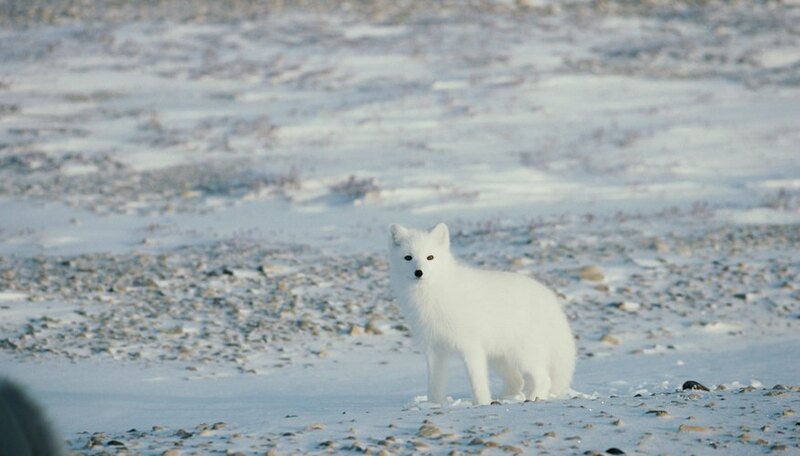 The arctic fox lives in cold deserts in Greenland, Russia, Canada and Scandinavia. Over time, this animal has adapted to handle this biome, including developing fur on its paws to keep warm. Other adaptations include a dense, thick coat of fur on the body and a big, bushy tail that the fox can put around its body for additional warmth. The diet of an arctic fox includes small mammals, birds, bird eggs, berries and the dead carcasses of animals. Arctic foxes create dens in hillsides and riverbanks for shelter and protection. Another cold-desert creature is the kangaroo rat. The kangaroo rat burrows itself deep within the sand or dirt during the summer and can run 1,200 feet in a single minute when above ground for the winter. The kangaroo rat has the adaptation of converting water rather than drinking it. The rat gets all the water it needs through the food it eats, as it has an extremely long kidney tube that extracts every last drop of water from the food as it digests. The kangaroo rat has pouches on the outside of its cheeks, so it can store food without needing to open its mouth to the dry, potentially dehydrating air. The rock ptarmigan lives in many of the cold desert biomes, including Russia, Canada, Iceland and Greenland. One adaptation of this animal to its environment is molting in early winter and growing out an extremely white coat for camouflage. Rock ptarmigans eat flowers, berries, buds, leaves, twigs and other vegetation. Young ptarmigan chicks are fed insects as well. These animals tend to live in areas with brush when taking care of young and in barren areas when locating predators and other ptarmigans. Jackrabbits live in various environments throughout the world and can often be found in the cold desert biome. In the food chain, they are often a source of food for dogs, foxes and many other predators. Jackrabbits eat plant items, such as leaves, bark, herbs, twigs and grasses. Jackrabbits burrow like kangaroo mice to avoid hot or cold temperatures and predators. Jackrabbits initially got their name due to their straight-standing ears that look like those of donkeys (jackasses). Cohen, Bryan. "Animals of Cold Desert Biomes." Sciencing, https://sciencing.com/animals-cold-desert-biomes-6361571.html. 13 March 2018.